Henry Ford Health System had a big year in 2016 when it added Jackson-based Allegiance Health in April and Flint-based HealthPlus of Michigan earlier in February. The two acquisitions added about $800 million in annual revenue to the now $5.7 billion system and expanded its geographic reach by 75 miles to the west and 70 miles to the northwest and from five counties to eight. So, how has Henry Ford, with its rich history as a Detroit-based integrated system with a 1,200-physician employed medical group and a 662,000-member health insurance company, fared since then? By all accounts, if you talk with Henry Ford officials and physicians, the implementation of the merger has gone well. But experts say it takes years before determining success of failure with a major business acquisition or merger. Robert Burns, chair of the health care management department at the Wharton School at the University of Pennsylvania, said research shows two-thirds of all corporate mergers, which includes hospitals and insurers, fail to achieve success as defined by the public: providing better coordinated care that leads to improved quality, lower costs and enhanced customer service. "A successful merger is defined by what the hospital says it is, not what society is looking for," said Burns, a national expert who has studied hospital and physician mergers for more than 30 years. "Reduced costs are what the public wants in a merger," he said. "Systems seek market power, market share, to weed out competitors" and to protect their pricing scheme against insurers, managed care organizations and employers. Burns says hospital executives will never publicly acknowledge these goals, but the former hospital executive said private motivations never change. In a 2015 study, Burns and fellow researcher Jeff Goldsmith looked at the performance of 15 "integrated delivery networks" in the U.S. as they added hospitals, physician organizations and managed care contracts where they assumed some financial risk. The research concluded there is little evidence that the mergers help to promote quality or reduce costs. "Indeed, there is growing evidence that hospital-physician integration has raised physician costs, hospital prices and per capita medical care spending," the paper in the National Academy of Social Insurance concluded. "Similarly, hospital integration into health plan operations and capitated contracting was not associated either with clinical efficiency (shorter lengths of stay) or financial efficiency (lower charges per admission)." The 15 systems studied included Henry Ford Health System, Advocate Health Care in Chicago and the University of Pittsburgh Medical Center, three health systems widely recognized as successful systems. But Burns added that studies also show there is a great deal of variation in outcomes, depending on such factors as the leadership of the organizations, the market and how the mergers are implemented. Surveys also show employers don't believe hospital mergers reduce costs, but do lead to better care coordination and quality. Bob Riney, Henry Ford's COO, said the health system approached the merger with Allegiance very differently than hospital combinations of the past. "When we made the decision to partner with Allegiance, it was a mutual decision to become one," Riney said. "We set out as a system determined to try and get advantages with mergers and mitigating the challenges that have plagued so many mergers across the country." With the HealthPlus purchase, immediate goals were to reduce administrative costs, create a mutual brand identity and connect information systems with HAP, Riney said. "Consolidation went pretty quickly and efficiently without much fallout," he said, adding that the merger is about 75 percent complete, although new product development is just beginning. After adding 300 employees from the old HealthPlus and 73,000 commercial members, Henry Ford's Health Alliance Plan of Michigan now has 1,300 employees and a total of 662,000 insured lives in its commercial, Medicaid, Medicare and PPO business lines. Over the past several years, Henry Ford and Allegiance explored mergers with various health systems. Nationally, many health systems and insurance companies did the same because of the need to reduce costs and improve quality to take advantage of incentives and payment cuts contained in Obamacare, or the Patient Protection and Affordable Care Act of 2010. Four years ago, Henry Ford attempted to merge with Beaumont Health System in Royal Oak. Cultural and management incompatibilities ended that deal. Beaumont then merged with Oakwood Healthcare and Botsford Hospital to become eight-hospital Beaumont Health, the largest health system in Southeast Michigan in market share. Allegiance also discussed various deals with the University of Michigan Health System in Ann Arbor and ProMedica in Toledo. But one of the advantages Henry Ford had over UM and ProMedica is that Henry Ford offered to invest more than $300 million in capital improvements over five years in the Jackson market. Henry Ford also pledged to enhance clinical services in Jackson. 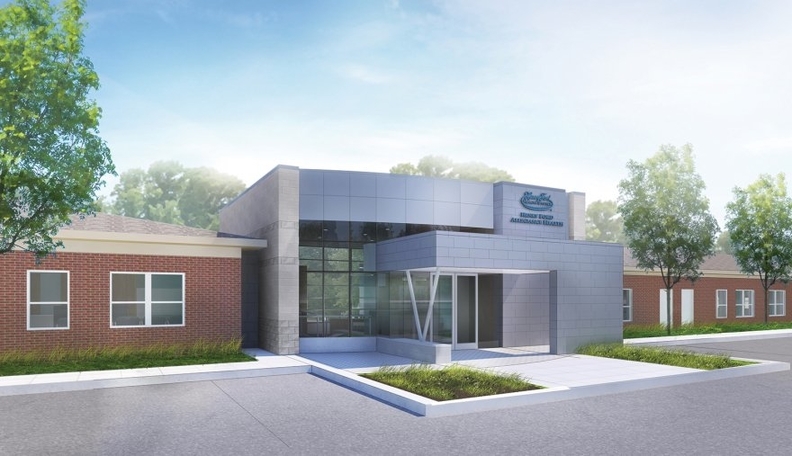 Capital projects underway at Allegiance include adding a much-awaited $45 million, 66-bed patient tower, enhancing cardiovascular services, adding a $70 million Epic Corp. electronic medical record and a $10 million, two-story health innovation and education center. Georgia Fojtasek, president of Henry Ford Allegiance Health who was president of the old Allegiance system, said the early positive impact from the merger has been that Henry Ford has kept its promises on capital projects and how it has treated Allegiance physicians and employees. "Being aligned on values has really helped us manage the challenging parts of bringing two organizations together," said Fojtasek, a nurse who has been Allegiance's CEO for 23 years. "It is still early, and we have a lot to do, but (the merger) has worked out very well." Fojtasek said Henry Ford has already integrated Allegiance with its billing and collections revenue-cycle processes, combining group purchasing, human resources, legal, finance and marketing. The system is working on merging employee benefit programs and its new Epic records system. "We have been so focused on (installing) Epic that has meant that our other integration efforts have been delayed some," she said. But Fojtasek said Allegiance has continued to bring in more patients by opening a level-two trauma center, recruiting physicians and getting a Henry Ford name-recognition bounce in the market. "It is impressive to me what the Henry Ford brand has meant to staff, physicians and employees," she said. "Henry Ford talks about commitment to excellence and how they treat people, and that is true." Since last year, Henry Ford Allegiance's market share has increased by 1.5 percentage points to 33 percent of inpatient discharges, a number similar to Henry Ford's market share in Southeast Michigan. Allegiance's total discharges for 2016 were 19,996, a 3.6 percent increase from 2015. Fojtasek said Allegiance was able to attract a Henry Ford rheumatologist part-time to see patients in Jackson and recruited a radiation oncologist and neurosurgeon, both of whom recently completed residency training at Henry Ford. "There has been a small shift of people going to Henry Ford in Detroit from Ann Arbor," she said. "Obviously, some of our patients still go to the University of Michigan and St. Joseph's. Some go to Beaumont and also to (hospitals in) Lansing and Kalamazoo. We are keeping more patients than we used to do." Riney said Henry Ford also is building out Allegiance's network of 40 medical facilities by adding a new ambulatory care center in Brooklyn. He said plans call for adding other centers in the coming years. "We have had tremendous growth. We had 300 more patients, and 70 percent of those patients were new to Henry Ford," Riney said. On the other hand, Allegiance began a community paramedic program with Jackson Community Ambulance to reduce unnecessary emergency department visits and lower costs. Additional hours were also added to evening clinics for primary care. Both programs helped reduce ER visits by 1.6 percent in 2016 to 84,663 from 86,041 the prior year. As a result, Henry Ford Allegiance's revenue increased 7 percent to $501 million for the first nine months of the merger ending Dec. 31, 2016. However, net operating margin declined 2.3 percent for the same period to a loss of $2.5 million, primarily because of merger costs and the Epic EMR installation, Fojtasek said. Overall, by adding Allegiance, Henry Ford added assets of about $524.8 million in net fair value and net revenue of $414 million from April to December 2016, according to Henry Ford's 2016 audited financial statement. HealthPlus added $18.9 million in fair market value to Henry Ford with premium revenue of $331.7 million from February through December, the report said. Besides adding size and revenue, health care mergers and acquisitions also traditionally save some money for the combining hospitals by taking advantage of economies of scale, centralized business services, but also through employee and top management layoffs, Burns said. But other than normal attrition at Allegiance, Riney said there haven't been any staff reductions. "Our job is to grow the business and also be sensitive to the jobs in all the communities we serve," he said. Competition for patients will increase in the Jackson market with a stronger Henry Ford Allegiance Health hospital and the University of Michigan Health System creeping closer to Jackson. 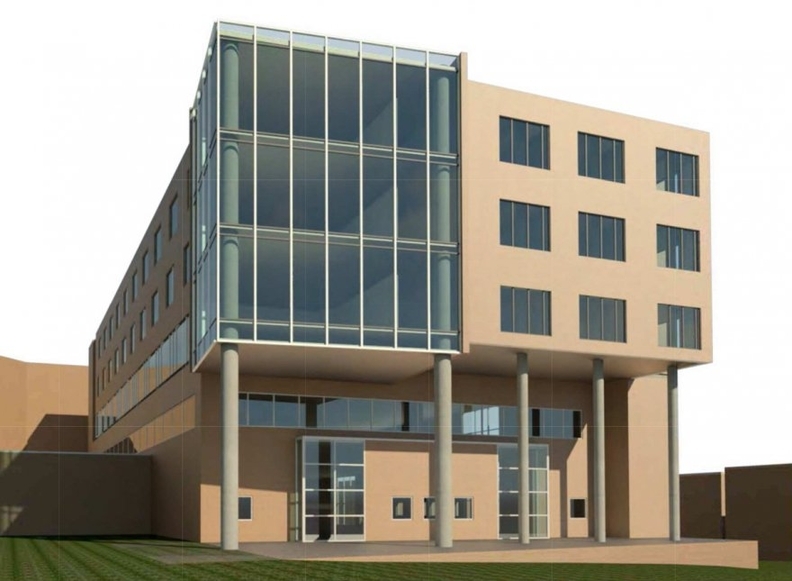 In March, UM announced it plans to purchase a 49 percent interest in St. Joseph Mercy Chelsea Hospital, which is between Ann Arbor and Jackson. Officials for St. Joseph Mercy Health System, which owns the Chelsea hospital, said the two are expected to invest at least $20 million in improvements. The community hospital would increase operating rooms to eight from six, boost operating beds from about 100 now to the licensed capacity of 133 beds and add minimally invasive robotic surgery. Fojtasek said the move to Chelsea makes sense for the University of Michigan. "We are competitors, and that probably will increase competition and makes sense for them," she said. But David Spahlinger, M.D., president of the University of Michigan Health System, said UM's decision on Chelsea had nothing to do with blunting Henry Ford's move into Jackson. He said UMHS simply needs additional beds to serve its patients and is striking deals with health care organizations like St. Joseph's across the state. Spahlinger confirmed that HAP plans to roll out a tiered provider network insurance product in the Jackson market sometime this year. He said he was informed by Henry Ford that UM will become a "tier 2" provider that will charge patients using UM higher out of pocket costs under the new product plan. 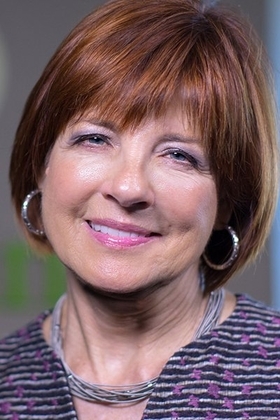 In a statement, Mary Ann Tournoux, HAP's senior vice president and chief marketing officer, said that HAP is considering a tiered provider network in Jackson market that could place some providers in higher cost-sharing tiers. 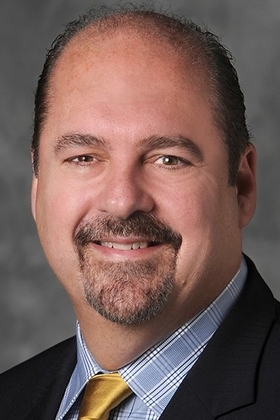 "As with all health plans in Michigan, HAP is evaluating the use of tiered networks in all of our markets that would give an incentive to those members who choose to get their health care from high-quality providers that deliver the best value," Tournoux said. Under the tiered network approach, health insurers charge patients higher copays for tier 2 or tier 3 to discourage the use of certain providers or to encourage use of lower-cost and higher-quality providers. Tier 1 is considered the preferred network providers and have the lowest copayments. In the Jackson and Ann Arbor markets, sources tell Crain's, the end result is expected to reduce the number of HAP members using UM and direct more to Allegiance or possibly coming to Henry Ford Hospital in Detroit for higher-cost specialty services. "HAP has (placed UM in tier 2 for the proposed narrow network insurance product), but these actions occurred after our announcement (with St. Joe's Chelsea hospital)," said Spahlinger. Looking to the future, Henry Ford's ultimate goal is to have a statewide health insurance network for HAP. Expanded geographic market to Genesee, Washtenaw and Jackson counties will help toward that goal, Riney said. Henry Ford joining the Affirmant Health Network, a statewide clinically integrated network with seven health systems and 33 hospitals, will also enable HAP to enter other markets. "HAP is in a unique position (to offer) value-based narrow network products" in Jackson and elsewhere, Riney said. "We will be offering products that are high value with preventive medicine and wellness that hopefully is unique in the marketplace." HAP's entry into Jackson will help provide competition and diversity of payers in the state, Fojtasek said. In January, Allegiance put its 5,000 employees and dependents on the HAP plan with UM as a tier 2 provider. "It takes time for a new insurer to take hold in market, and we are talking with them about how our clinically integrated network of physicians can manage care together in the community," she said. At Allegiance, Henry Ford executives took the position that Allegiance's management and physicians had just as many best practices to share with Henry Ford as Henry Ford has to share with Allegiance. "We did not pre-suppose that there is an automatic Henry Ford way that is best," Riney said. "We wanted to share approaches together and develop synergies and sustainable values." Riney said Henry Ford wanted to first show the community and physicians that they were there to improve clinical services and quality. "We wanted to gain the respect of the community and show we could add value to them," he said. "We didn't want to just say, we can save you $4 million in supplies with a broader base. That doesn't resonate in a community as much as bringing value, and we wanted to do that for the people of Jackson." 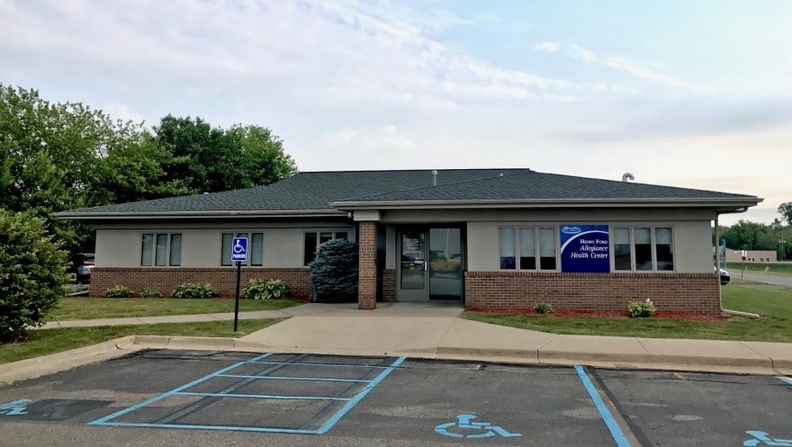 Riney said Henry Ford wanted to alleviate anxieties of the community and Allegiance physicians that the goal was to expand services in the local market. "There are some serious complex care needs that can be done at Henry Ford Hospital and we have seen an increase in quaternary (high complexity) cases," said Riney, noting that a handful of patients have been transported by helicopter to Detroit. For Allegiance, clinical areas targeted for improvement first include radiation oncology, cardiovascular and neurosurgery. Riney said telemedicine has allowed Henry Ford specialty doctors in Detroit to conduct virtual visits with patients and local Allegiance doctors. "There is a way to align physician organizations in a non-threatening way," he said. "We don't want to have (local) doctors feel threatened for their existence." In fact, Riney said one of the more satisfying aspects of the merger for him has been how well the employed doctors at Henry Ford Medical Group have accepted and worked closely with Allegiance doctors in Jackson. "The clinical chairs regularly meet with their clinical partners at Allegiance," Riney said. "They are on the same page on value-based care that can be one of the biggest challenges." Henry Ford Allegiance Health's family medicine location in Brooklyn, which opened in 2016, offers imaging and laboratory services. Jackson also has a group of 50 or 60 independent doctors, some of whom have been critical of Allegiance's management over the years. Sources told Crain's that a good percentage of the independent doctors initially wanted Allegiance to join UM. Two independent doctors told Crain's that Henry Ford executives, including Riney and John Popovich Jr., M.D., president of 805-bed Henry Ford Hospital and the system's senior vice president for clinical affairs, have reached out to them to explain Henry Ford's plans. They said independent doctors have become more comfortable with Henry Ford as the new owner, although some are still not sold on the change. "You will always have divergent views on every topic," Riney said. "I am not going to suggest if there were doctors negative in past there has been a dramatic change now. But a vast majority of Jackson doctors are excited to partner with Henry Ford Medical Group. They don't feel threatened." Riney said he has spoken with several physician leaders of the independent group and believes they understand Henry Ford is not the enemy. "We are hoping to change minds," he said. In early August, Henry Ford Allegiance is expected to go live with the installation of its Epic EMR system. Henry Ford installed Epic for its Southeast Michigan doctors, hospitals and clinics in 2013. "It is a big, complex enterprise and we have significant numbers of teams working on the construct and adoption of the Epic system, with appropriate modifications for Allegiance," Riney said. Once Epic is installed, communication between doctors on medical cases will be improved dramatically as patient hospital and physician data can be shared instantly to avoid duplication of tests or medication errors. "The continuity of care will become incredibly easy once we get on the same platform," Riney said. Fojtasek said Allegiance and its physicians had already chosen to purchase Epic before Henry Ford acquired it at a cost of about $30,000 per physician. One challenge Allegiance doctors and administrators have is adapting the EMR to Henry Ford policies. "It becomes more complex because since 2008 we have all been on the Jackson Community Medical Record system, a NextGen (EMR) platform," said Fojtasek. The JCMR, owned by Henry Ford Allegiance, includes Allegiance, about 250 of the medical staff's 400 doctors, the Jackson County Health Department, area clinics and other health providers, she said. Riney said he couldn't predict how long it might take to integrate operations and cultures of Allegiance and HealthPlus. He said the public, the business community, employees and physicians already are seeing improvements. But clinical service integration with complex specialties could take years. "Cultures are like living things. They are constantly evolving within the community," Riney said. "We have made incredible strides. The capital investments they are seeing. (These are) examples of promises made, promises kept." "Henry​ Ford​ expands​ with​ Jackson,​ Flint​ acquisitions"​ originallly​ appeared​ in​ Crain's​ Detroit​ Business.